Aalborg – February 27 , 2018 – Create it REAL, the Danish R&D center specialized in 3D printing technologies announces the closing of a €1.3M financing round (DKK 10M). The investment was led by the Danish Growth Fund, a state investment fund helping Danish companies by providing capital and expertise. The company, founded in 2009 by Jeremie Pierre Gay, launched the worldwide first real-time processor dedicated to 3D printing back in 2013. It is selling its platform to 3D printer manufacturers and corporate end-users for ad-hoc projects. The patent pending technology main benefit is a print speed up to 5 times faster than traditional FDM printers in the market today. The funds raised will be used to further expand the development team and Create it REAL visibility outside the 3D printing industry. 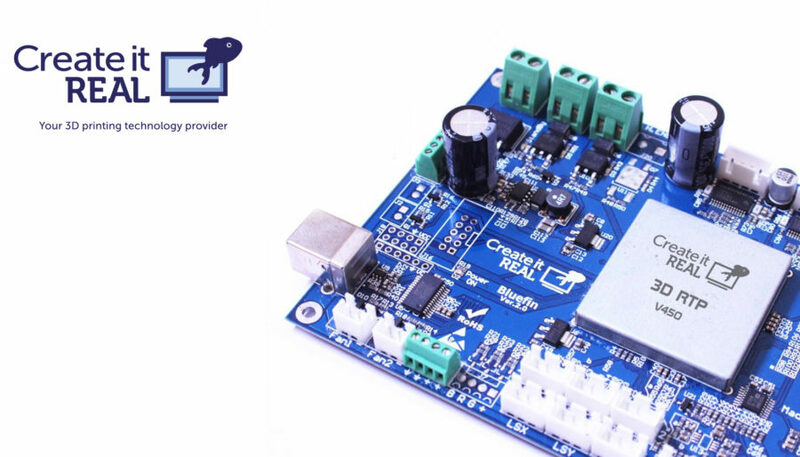 The latest version of the electronic is now as competitive as a high end open source board and can quickly be adapted to any FDM printer for manufacturers willing to try. Our team is looking to create strong and long-term partnerships. “Create it REAL technology and business model is helping companies worried about using 3D printing to make the jump safely. They are solving the intellectual property issue so many companies are afraid of. File integrity, security and quality is at the heart of this project” says Stig Poulsen, Partner and Area Director at Vækstfonden. Jeremie added “the strong interest we are seeing from large companies in the maritime industry looking for a secured platform, confirms our approach is the right one and will appeal to other industries as well. Further solutions under development will soon make 3D printing even simpler, limiting user interaction to a few clicks. For the moment, Create it REAL need to expand its 3D printer manufacturers portfolio to meet corporate customers demand in different segments. We have requests for large printers, PEEK printers, Metal FDM printers… so we are looking for manufacturers willing to work with us on these new challenges and open new markets”. Create it REAL, based in Aalborg, the old Danish “Silicon Valley”, is made up of experts in 3D printing technologies, electronics, software and mechanics. Thanks to our unique development platform, we create premium 3D printers on-demand for companies who want to disrupt, lead and drive their own industry with 3D printing.